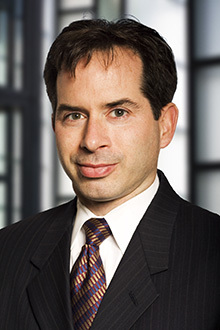 Paul Desrochers is a partner in the San Francisco office of Lewis Brisbois and a member of the Toxic Tort & Environmental Litigation Practice. Mr. Desrochers has over 14 years of experience litigating environmental claims. His current practice focuses primarily on environmental litigation in both Federal and State courts throughout Northern California. As part of his practice, Mr. Desrochers routinely represents commercial entities and private individuals related to personal injury and real property damage claims arising from environmental exposures/contamination. He has handled numerous environmental cases involving a wide variety of contaminants/substances including but not limited to: pesticides (residential/commercial), fertilizers, chemicals, industrial solvents (PCE, TCE, and others), PCBs, molds, wood smoke, chlorine gas, latex, silicone, asbestos, lead paint, heating oil and various other VOC’s. In addition, Mr. Desrochers occasionally handles construction related cases calling upon his prior career in the construction industry and his degree in building construction. Mr. Desrochers’ previous practice in Oregon also involved representing clients in both environmental and construction litigation matters and advising clients regarding compliance with state and federal governmental agency requirements on environmental matters. Mr. Desrochers also handled a variety of personal injury and estate planning matters for his prior firm. Prior to entering the legal profession, Mr. Desrochers worked as a project manager/construction engineer for a large general contractor. Mr. Desrochers coordinated and scheduled all in-house and subcontractor work, monitored performance of in-house craft persons, performed construction estimates and negotiated project change orders for numerous stand alone construction projects and multi-year Federal Government term contracts. Mr. Desrochers has successfully defended cases at trial and resolved claims through mediation for numerous clients in various environmental and non-environmental actions and has extensive experience in all aspects of litigation including, trial, substantive law and motion, discovery, depositions (party, expert and percipient witnesses), mediation, arbitration and settlement negotiations.